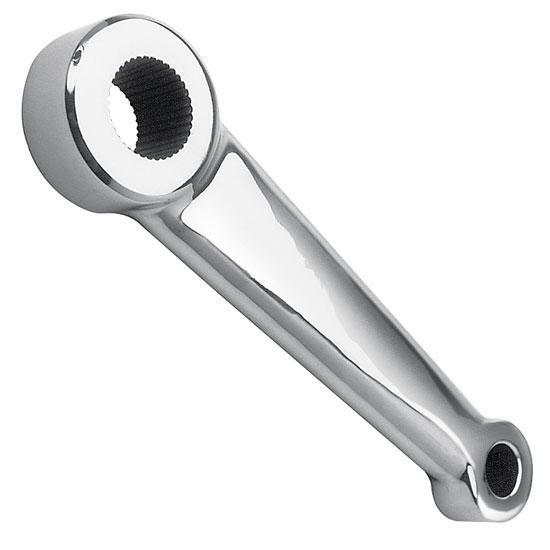 These all new reproduction pitman arms feature a non-offset design, a double tapered "Ford" tie rod end hole (lets you attach the drag link on the top or on the bottom), and comes in gleaming stainless steel or plain steel. Perfect for a repro Vega steering box. Tapered for tie rod end. Length center eye to center eye is 6-1/4"